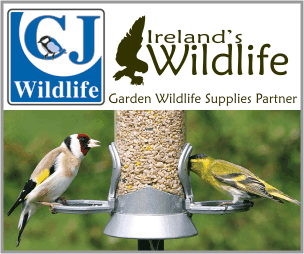 Ireland’s Wildlife’s Official “Garden Wildlife Supplies” Partner, CJ Wildlife, has a special free delivery weekend to anywhere in Ireland from today until Sunday 29/06/2014. If you haven’t tried them before it’s the perfect opportunity to give them a whirl, or to stock up on your garden wildlife supplies if you’re a regular customer. 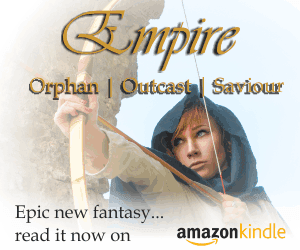 Just click on the image to check out their online catalogue for yourself. Right up front, let’s be honest, CJ Wildlife isn’t the cheapest option when it comes to buying your garden wildlife supplies. But from first hand experience here at IWHQ I can tell you that’s a reflection of the quality of the products they offer. We use a range of CJ Wildlife feeders and bird foods exclusively here at IWHQ, along with a selection of other garden wildlife products ranging from nestboxes to to pollinator-friendly garden plants. The quality is second to none, and the service they offer is top notch. Add to that quick and convenient delivery, and the company’s “wildlife first” ethos and you have a combination that’s hard to beat, and represents great value. If you’ve used CJ Wildlife before, you already know what we mean. If you haven’t, this is the perfect time to give them a try. Check out their range of garden wildlife products here.